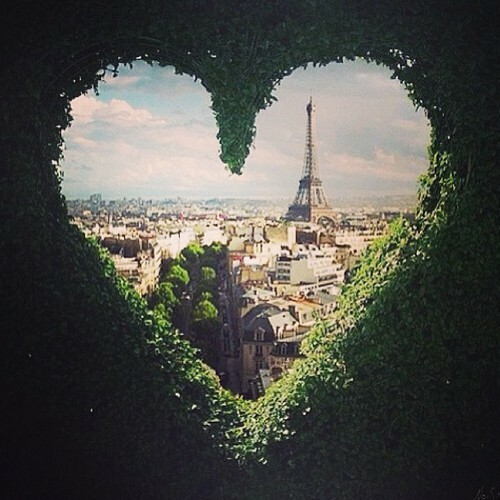 Henri climbed the lichen-clad, rough-hewn steps to the small stone building on the top of the hill and gazed through the heart-shaped window that looked out over the city of Paris. His heart was heavy with dread, for Henri had gotten himself into a situation – a situation that was not going to resolve itself quietly or easily. In fact it seemed likely that the next few hours and days were going to be very difficult for Henri indeed. An attractive man with a quick wit and a sparkle in his eye, Henri had never struggled to attract female attention. His latest conquest however, had mistaken the seriousness of his intentions and had this morning announced her plan to leave her husband for him. This was not what Henri had in mind when he started their dalliance; he’d simply been looking for a little fun and she was, after all, an extremely beautiful and intriguing woman. What made this morning’s announcement chilling rather than a mere frustration however, was the husband in question … Henri’s boss. Henri’s very influential and very dangerous boss who was known in equal parts for his brutality and his adoration of his beautiful wife, Celine. After much contemplation and with an even heavier heart than when he arrived, Henri headed back down the steps toward his office in the city. He spent the remainder of the afternoon there organising his affairs, then left for the airport where he had booked a midnight flight to a place far, far away from his comfortable life in Paris, never to return. Celine climbed the lichen-clad, rough-hewn steps to the small stone building on the top of the hill and gazed through the heart-shaped window that looked out over the city of Paris. She adored this view … her city, a city that pulsed with passion and excitement, a city that was hers for the taking. Celine was a stunningly beautiful woman; a woman men dreamed of possessing, but none ever would. It amused her to think her husband Bertrand truly believed he possessed her. Although Celine outwardly acted the part of the dutiful wife, in reality she detested Bertrand’s common, oafish ways; his attempts to buy style and position; his lack of sophistication. He was however, wealthy. Very wealthy, and that suited Celine well, for Celine had a plan, and unfortunately for Bertrand, the plan didn’t involve him. Celine’s heart actually belonged to her beautiful lover, Marcheline. The sequence of events Celine had started that morning had everything to do with Marcheline and their wish to spend the rest of their lives together, revelling in the luxury Bertrand’s money would afford. Celine glided back down the stone steps toward the mansion she shared with Bertrand, the next step in her plan clear in her mind. Wearing Celine’s silk gown and Chopard diamonds, Marcheline swept into the bedroom Celine shared with Bertrand and laughed as she registered Celine’s look of utter confusion. Posted on September 17, 2014 November 25, 2014 by MumptyStylePosted in Mumpty FictionTagged affair, Chopard, diamonds, fiction, France, mumptystyle, murder, mystery, Paris, silk, suspense.